Wyeth® PROMAMA® unveils the Baby’s First Gift to You, an event that aims to provide expectant moms a gift like no other. An experience that allows her to see a real time first gift ever from her baby. The Baby’s First Gift to you device detects the movement of the babies in the womb and translates it into an artwork. “Expectant moms would be surprised to know that the baby’s brain is up to 25 percent developed already, by 28 weeks. By using the Baby’s First Gift technology, moms will be amazed by their baby’s development while in the womb since they will see how their baby’s movement can create artworks, uniquely created just for them,” said Ms. Jong Icasiano, Wyeth Nutritionist. To help give your child a strong start, you can start drinking Wyeth® PROMAMA®, a low in fat delicious vanilla tasting nutritional milk drink designed to support pregnant women during pre-pregnancy, pregnancy, and lactation. It is scientifically formulated with the essential nutrients needed to help support the overall health of both mom and the baby’s physical and mental development in the womb. It contains 5 key brain nutrients such as Folic Acid, DHA, Choline, Iodine, and Iron and it is now with less calories and higher Oligofructose (vs. previous formulation) to help prevent constipation. Failure is life’s greatest teacher but few parents want their children to experience its pains. In today’s increasingly complex world, raising children can be a challenge for parents, most of who would not want to see their children experience difficulties. Massive technological changes, changing worldviews, and constant disruptions have made the world much more complex, but these have also created ample opportunities for learning and growth. 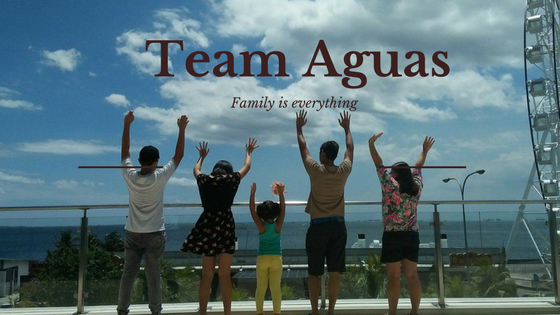 Amidst uncertainties and continuous change, parents have to ensure that their children learn and grow from the challenges that they will inevitably encounter in their growing-up years. By developing an optimal growth mindset and adapting an optimal diet and lifestyle, parents can help set their kids up for the future. Recognizing that parents need support in reshaping the future of their children, Nestlé NANKID utilizes expertise with advocacy, to help reshape the future for the next generation, with Parentology+. Achieving an optimal growth mindset begins with optimal nutrition. And this year, Nestlé NANKID is giving parents the opportunity to be able to foster a holistic and continual growth of a child in all aspects—emotional, nutritional, physical, psychological, and social development, through Parentology+: The Reshape Effect Forum. The forum, held last January 15 at Whitespace Makati, aimed to help parents better understand their role in reshaping the future of their children. Hosted by the Philippines’ premier talk show host, Boy Abunda, the event was joined by well-known parenting experts from the international and local scenes. Among them were Melissa Benaroya, LICSW, a renowned parent, coach, and speaker from Costa Rica whose extensively studied the Growth Mindset movement. In addition, Melissa aims to be able to share unique strategies on raising children; Didi Manahan, MSEd, a progressive learning advocate and co-founder of Keys School Manila, where she serves as head directress, and Dr. Josephine Sunga, MD, FPPS, MSc, pediatrician and epidemiologist who champions nutrition as a key ingredient towards children’s optimal development through her research. Parents and guests of the forum were also able to participate in activities that allowed them to learn practical tips and lessons on how they can nurture an optimal growth mindset within themselves and their families, thereby creating an environment that will nurture their child’s minds and hearts. Some of the activities were “Reshaping Your Language”, where participants learned that adults have the power over how our language can affect kids. Phrasing statements to curiosity questions can help the kids get a feeling of being included in the decision-making. In “As Easy As Riding A Bike”, guests were asked to reminisce their first time riding a bike, and its process. Melissa retells the story, but instead of biking, she likens the experience to parenting - the joy of seeing others' kids, the challenge once you've had your own child, the constant toil of new developments, the parental instinct imbibed in you once you've experienced it after a long time. Nutrition plays a vital role in the development of a child. Without providing proper action, a child’s diet may greatly affect his or her overall growth. However, despite the potential health risks children may face due to the environment or because of genetics, there are ways parents can prevent these from happening and help ensure their children are not restricted to achieve their full potential for the future. With its aim to promote the Growth Mindset movement, and how this can be applied in school, Nestlé NANKID also worked with SMILE Group (Specializing in Modern Interactive Learning Experiences), an advocate of STEM and STEAM Methodology committed to help Filipino children develop a growth mindset and 21st century skills, to host a learning symposium entitled “Childproof Teaching: Applying the Growth Mindset in School” with Melissa Benaroya, LICSW, held in Miriam College on the 16th of January; where she imparted her knowledge of child development, empathy, and 21st century skills among students and children that can prepare them for life’s hardships. The event was attended by educators from the Philippines’ progressive schools. Indeed, embracing challenges and opening up possibilities are a child’s greatest teacher, and with an optimal growth mindset, backed by optimal nutrition, parents can help reshape their children’s future so they can become the best version of themselves. Don’t miss the opportunity to learn how to foster optimal development through optimal nutrition and an optimal growth mindset. Help #ReshapeTheFuture today. Check out Parentology+ at Trinoma Mall on February 2 and 3. Visit www.facebook.com/NANKIDOPTIPRO for more details. 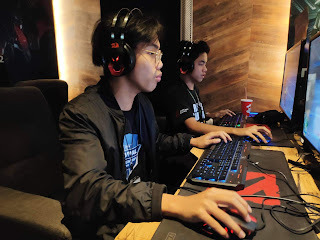 Sealteam Peenoise won second place at the Rules of Survival SEA Survival Championship early January. 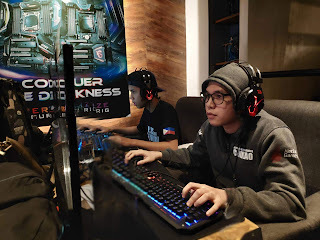 Other teams who represented PH includes Savage Gaming ranks 4th with a final score of 1,555, Team Marshall with 1,020 in 10th, Comeback in 11th with 915 Points and Evo Groundz with 675 points in 12th. The 15 squads, who competed, are the best squads from the Philippines, Vietnam, and Indonesia with the aim of claiming supremacy and take part in the USD 11,600 prize pool. Cashalo, the Filipino technology and financial services company committed to accelerating financial inclusion, earlier today officially launched its standalone mobile app that delivers access to affordable and secure credit for millions of underbanked consumers and MSMEs in the Philippines who need access to reliable and trusted financing options. In the event Hamilton Angluben, General Manager of Cashalo led the launching of the service with Geoffrey Prentice, co-Founder, Oriente; Lance Gokongwei, President & Chief Executive Officer, JG Summit Holdings, Inc.; and Joyce Suficiencia, Acting Deputy Director, Inclusive Finance Advocacy Office, Bangko Sentral ng Pilipinas (BSP). “Promoting responsible and customer-centric innovations has been the core theme of BSP’s financial inclusion initiatives. Innovative digital solutions can potentially transform the lives of Filipinos by making financial services more convenient, affordable and contextualized to their needs and aspirations,” said Chuchi G. Fonacier, Deputy Governor, Financial Supervision Sector, BSP. By leveraging next generation mobile and data technology, Cashalo has already empowered tens of thousands of Filipinos to take control of their financial futures since its beta-launch a few months ago. Since then, it has rolled out a number of innovative financing solutions designed to serve Filipinos where they are, and with the financing solutions they want. Empowering Pinoys with financial freedom at their fingertips, any consumer can apply for a Cashaloan any time whenever they need access to credit for tuition fees, household expenses, specific consumer goods, emergencies, or to start and grow their small businesses via Cashalo’s mobile app. Consumers are in full control as they can keep track of their loan application status and repayment schedule. CashaQuick is the latest addition to the offering and allows consumers to access a loan amount as small as PHP 1,500, with just one valid ID. Cashalo has also pioneered an exciting new O2O (offline to online) consumer financing product - Cashacart which has been in pilot since August. This exciting new solution enables consumers to access a digital credit line for their specific shopping needs at retail stores – allowing them to purchase multiple products (electronics, appliances, household items, etc) across a retail network of 250 partners that include Oppo, Cherry Mobile, Memoxpress, Robinsons Appliances and Robinsons Department stores. At the core of Cashalo’s unique product offering is the company’s ability to build on the technology infrastructure of Oriente. Leveraging this, Cashalo’s own credit engine is able to collate and analyse a variety of alternative data signals including social consumer behaviour, enabling it to develop reliable alternatives to risk and credit assessments in real-time. According to the BSP’s Financial Inclusion Survey 2017, over 77 percent of the Philippine adult population remains unbanked, making it very difficult for traditional financial institutions to have access to any financial or behavioural data points to analyse, on a majority of the population. Existing financial systems were not designed to cope with tens of millions of new customers that came with rapidly increasing populations, or the opportunity risk that came with them. This is also a major reason why, according to the World Bank, over 90 per cent of this population is not covered by a credit bureau. Cashalo understands that increasing awareness and understanding through financial literacy efforts is equally critical. It fully supports the BSP’s efforts and aims to be the engine driving finclusion in the country, enabling millions of Filipinos with no credit history build financial identities to elevate their economic well-being and participate in the global economy. Cashalo recently partnered with social-development NGO Knowledge Community in developing a nation-wide, grassroots community engagement program to drive financial awareness and foster financially responsible habits through a set of simple learning modules. These have been specifically created to ensure a wide demographic of Filipinos (including blue collar workers, teachers, employees, university students, farmers and other community members) are able to attain a degree of knowledge, aptitude, and skills, necessary to be more financially aware and responsible. The program is currently underway in Metro Manila and will be rolled out in key cities in Visayas and Mindanao by mid-2019. Labels: app Cashalo app, Cashalo, financial expert, Hamilton Angluben, JG Summit Holdings Inc. Leading digital services provider PLDT is ushering in a new era of home broadband as it introduces the new PLDT Home Google Wifi Plans, which lets you enjoy Unli Fibr in every room and on every device starting at Php2,299 per month. 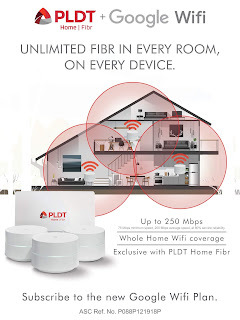 The new PLDT Home Google Wifi Plans come with Unli Fibr and three Google Wifi 'points,' which you can strategically install around your home, so your family can make the most of PLDT Home’s fastest Unli Fibr connection in all their online activities. The new PLDT Home Google Wifi Plans also come with a free landline with unlimited calls to Smart, TNT, and Sun. 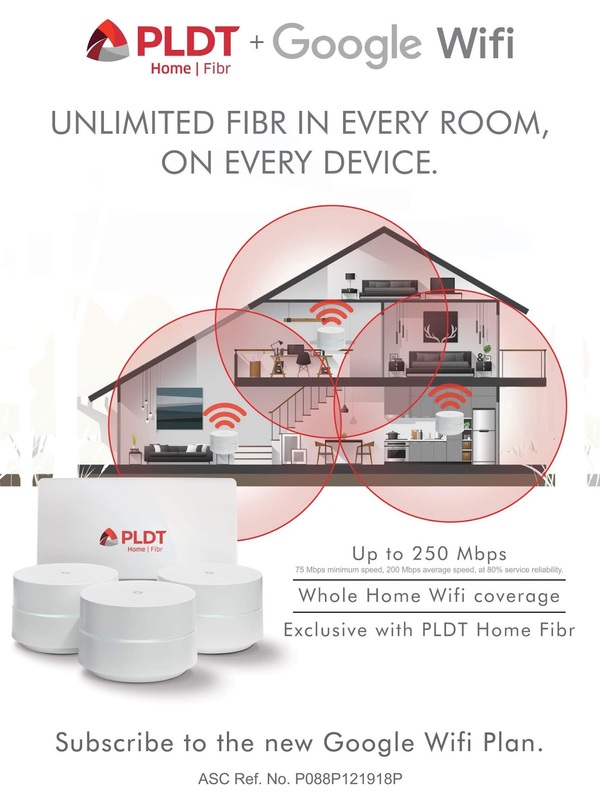 With PLDT Home Google Wifi Plans, you can put an end to Wi-Fi dead spots – those corners in your home or office where Wi-Fi signal just cannot get through – an especially common problem in huge houses with thick walls, multiple levels, and other features that block or hinder Wi-Fi signals. A bane to our increasingly digital lifestyle, Wi-Fi dead spots result to interrupted online activities: One minute you are making a perfectly fine video call with your best friend, uploading an important file, or streaming your favorite series from your living room – only to get cut off the moment you go to another room, head to the kitchen, or move upstairs. Using mesh networking technology, PLDT Home Google Wifi Plans let you enjoy not only fast but also reliable and seamless Unli Fibr around your home, delivered by strategically located Google Wifi 'points'. Powered by Unli Fibr with speeds ranging from 30Mbps, 60 Mbps, 120 Mbps, 250 Mbps, up to 1Gbps, the PLDT Home Google Wifi Plans let you stream videos seamlessly, upload and download heavy files in an instant, play games without lag, and make clear and video calls without any interruption. Making sure that your home is blanketed with Wi-Fi is a custom job, as no two homes are exactly the same. That’s why as part of the package, PLDT Home Google Wifi Plans come with free service from the Home Geek Squad to help you position and set up the Google Wifi ‘points’ for optimal experience. Google Wifi is designed intuitively, ensuring that connected devices are always latched on to the channel with the strongest Wi-Fi signal from PLDT Home Fibr. So even if you move around the house, the Network Assist feature will keep you connected online, leaving you with a seamless and uninterrupted internet experience no matter where you go. To manage Google Wifi, you can download the companion app (available for Android and iOS) to manage settings, allocate bandwidth to different devices, and create scheduled pauses on devices used by kids. Put an end to your Wi-Fi dead spots now and enjoy Unli Fibr in every room, on every device by upgrading to the all-new Google Wifi Plans! Know more by visiting www.pldthome.com.